I want to start today’s sermon by addressing the elephant in the room and that is the terrible reputation churches and pastors have in our culture in regards to money. I humbly acknowledge and repent for all the manipulation, greed, lying, mismanagement and stealing that has be done in the name of God. First, I repent on behalf of the self-centered pastors who not only benefit from the church in the way of tithes and offerings but also by charging for everything from anniversary dinners to over priced sermons, books, concerts and conferences. Jesus said that whatever we freely receive, we should freely give (Matthew 10:8). I am deeply sorry that in many churches today godly people can be faithful in tithes and offerings and still be made to feel guilty if they do not spend their money on every additional thing the church promotes. Peter considered this kind of pimping in the pulpit, “pursuing dishonest gain” (1 Peter 5:2-3). Second, I repent for self-centered churches that only look out for the interest of those who are well off inside their walls. As if the church was designed to be a clique for trendy hipsters or a social club for the upper class. James said by their discriminating of the poor and favoring of the rich they have, “become judges with evil thoughts” (James 2:4). They will spend thousands of dollars on their buildings and programs to entertain the overfed lazy sheep, yet they hardly do anything for the community around them. At the most they may have one community day a year (to ease their conscience), yet week after week they offer no help to the poor (no rides, clothing or food), the single mom and the fatherless kids (who are related to the widow and the orphan in the Bible), the troubled youth, nor the struggling middle class family. I remember being in a similar kind of church where their budget was close to one million dollars a year- yet they turned me down for van and asked that we stopped picking up kids from the inner city. I understand teaching responsibility and giving hand’s up and not hand’s out- but dear God, where is the compassion of Jesus in churches like this; especially in a city hurting city like Chicago? Lastly, I repent for every cowardly lying Satan-inspired leader that instead of resigning from their church and pursuing a criminal life, actually remained in the Body of Christ to rob God’s people of their money. I pray that they get arrested and sent to jail for breaking the laws of both God and man and don’t get out until they have returned all the money (to the last penny) to all the people they have stolen it from. Jesus said that this is the righteous punishment (in this lifetime) for those who proudly act in greed and oppress others (Luke 12:59). Please hear again the words of the Lord to the ungodly shepherds in Ezekiel 34:1-10, “1 The word of the Lord came to me: 2 “Son of man, prophesy against the shepherds of Israel; prophesy and say to them: ‘This is what the Sovereign Lord says: Woe to you shepherds of Israel who only take care of yourselves! Should not shepherds take care of the flock? 3 You eat the curds, clothe yourselves with the wool and slaughter the choice animals, but you do not take care of the flock. 4 You have not strengthened the weak or healed the sick or bound up the injured. You have not brought back the strays or searched for the lost. You have ruled them harshly and brutally. 5 So they were scattered because there was no shepherd, and when they were scattered they became food for all the wild animals. 6 My sheep wandered over all the mountains and on every high hill. They were scattered over the whole earth, and no one searched or looked for them. 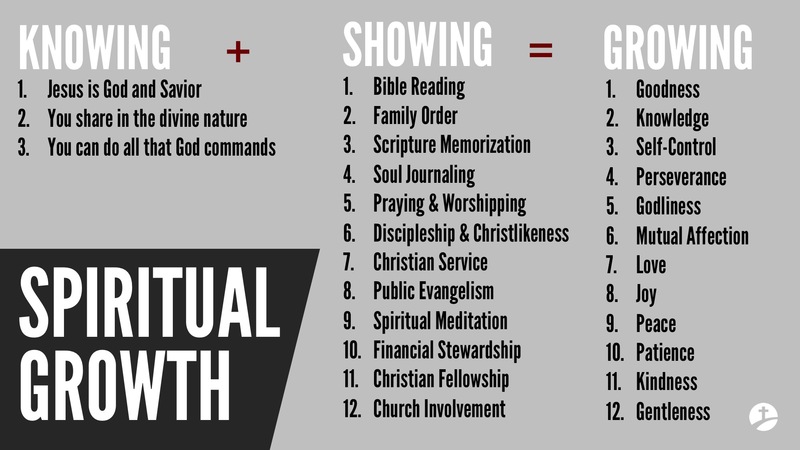 SPIRITUAL DISCIPLINES DEFINITION: The commands and practices a disciple “show” in their life to “grow” spiritually because they “know” God. 1 Timothy 6:6-10;17-19, “6 But godliness with contentment is great gain. 7 For we brought nothing into the world, and we can take nothing out of it. 8 But if we have food and clothing, we will be content with that. 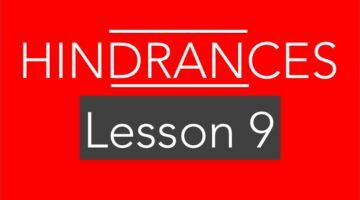 9 Those who want to get rich fall into temptation and a trap and into many foolish and harmful desires that plunge people into ruin and destruction. 10 For the love of money is a root of all kinds of evil. Some people, eager for money, have wandered from the faith and pierced themselves with many griefs. 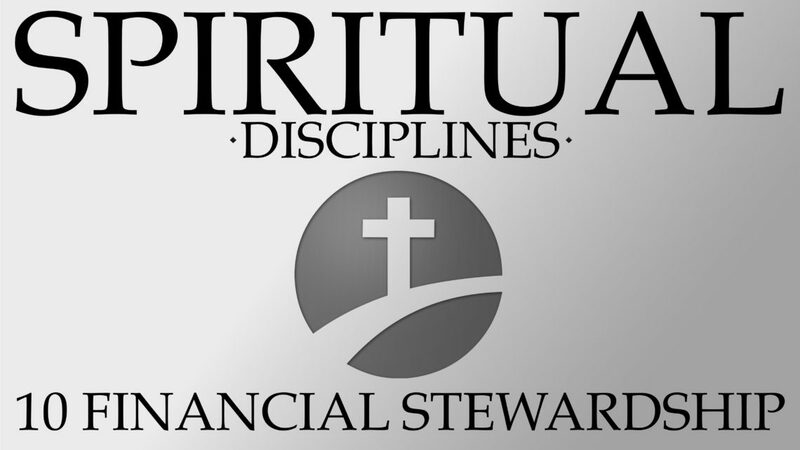 FINANCIAL STEWARDSHIP: The wise management of everything God has entrusted us with. BE A TITHER: Give 10% of your total income to God, Genesis 14:18-20. Key Points: The tithe was “implied” with Cain and Abel; “revealed” to Abraham, “established” in the Law of Moses, and is still “relevant” for today. It comes with a “blessing and curse,” it must be “qualitative,” a “priority,” and a “faithful” practice in our lives. The tithe “advances” the Kingdom of God, tests our “maturity,” breaks the attitude of greed through “obedience,” is “mandated” for all, and brings us into “partnership” with God and His church. GIVE OFFERINGS REGULARLY: A gift to God after your tithes, 2 Corinthians 9:7. Key Points: The offering is a gift to God “after” the tithe and is given in a “variety” of ways. God said it should be a “generous” “seed” given with a “cheerful” heart from personal “sacrifice.” Offerings will always bring “thanksgiving” to God because they go towards “charity” and ministry “supplies.” We give offerings in “obedience” to God’s Word, “sharing” with others our blessings with a “gracious” heart by “imitating” Jesus and revealing where our “treasure” really is. MANAGE THE REST WELL: Be a faithful and fruitful servant, Matthew 25:23. Key Points: God has called us to be “managers” that are “committed” to stewarding “whatever” “gifts” we have “received” from Him. We are to be “wise,” “fruitful,” “faithful,” “trustworthy,” “multiplying,” and “shrewd” stewards. Living “debt free” and “generous” lives providing an “inheritance” for our children and grand children. OVERCOME FINANCIAL TRAPS: Don’t fall for deceitfulness of money, Mark 4:19. Key Points: By the power of the Holy Spirit and the guidance of the Word of God I will not be hindered by “greed,” “laziness,” “unbelief,” “discouragement,” or “fatigue” in my giving to God. I will overcome “bitterness,” “impatience,” “pride,” “fear,” “idolatry,” and live a life of obedience in my finances. Check out Dave Ramsey for help setting up a Christian based budget.